A young girl goes on holiday with her mother to a strange old house. Whilst her mother is busy socialising, the girl discovers a corridor of portraits. Noticing one of the portraits is empty, she goes on a quest to find the missing picture, meeting a pirate along the way. 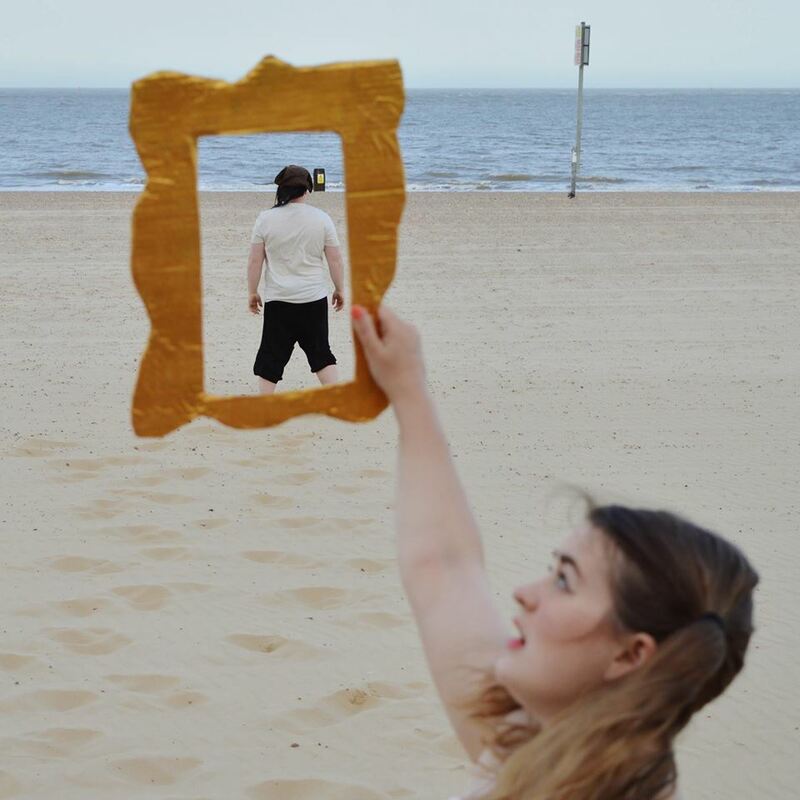 Portrait is a piece of non-dialogue theatre inspired by clowning, commedia del’arte and puppetry. Performed at the Rooted Moon International Theatre Festival, Porto Torres Sardinia, with preview performances as part of Theatre Full Stop’s Destination Eclectic at The Yard, Hackney and New Model Theatre’s BETA, Plymouth. 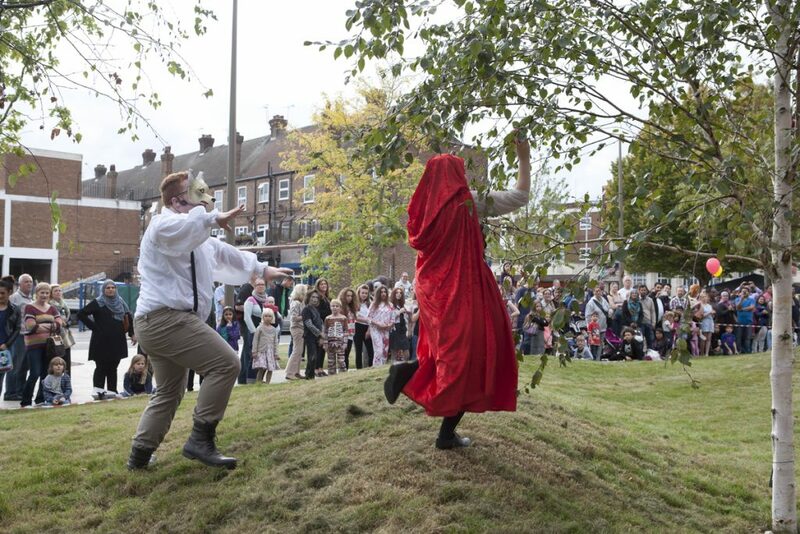 A magical re-telling of Little Red Riding Hood, commissioned by Vision Redbridge for the Barkingside Light Night 2014 and made in collaboration with Fabula Dico Storytelling Collective. Performed in promenade around the new Barkingside Leisure Centre, this was a piece that captured young imaginations and brought a traditional tale to life.